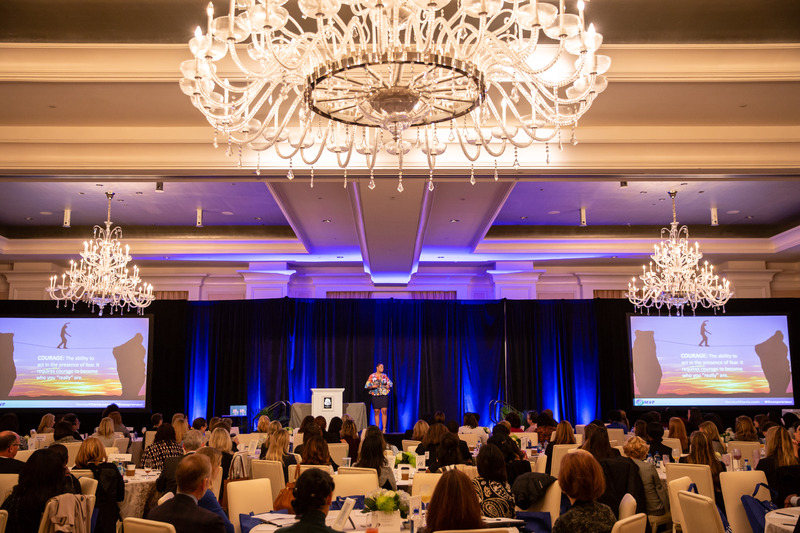 Recently, I had the pleasure of attending the Executive Women of Goizueta annual conference focused on advancing women in leadership. This event is “designed to help Goizueta women encourage each other to remove barriers, promote diversity and develop into stronger leaders.” Throughout the day the words from all our speakers were empowering, enlightening and truly touching. While attendees were primarily women, the themes I heard were applicable to men and women. Here are the main themes that resonated with me. Being unapologetically you: My “golden nugget” from the conference was to “be unapologetically you.” Too often, possibly because I’m a woman in a male-dominated industry, I find myself acting more like the men in the room. However, what the speaker highlighted is that my company hired me for being me, my true me, which includes being a woman. Being true to who you are in a company can be scary and it’s where courage really comes into play, but if you can’t be yourself, then who are you? As the speaker mentioned, it is way too hard to act like someone you’re not, so be you, unapologetically you. The power of mentorship: Another important theme I heard from one of the speakers was having a mentor who advocates for you. While this is not revolutionary, the more I grow in my career, the more important it has been for me to have mentors who will push me, remove barriers for me and help me layout my career path. By them believing in you, sometimes, that’s all you need for you to believe in yourself. Mentors can help you readjust your expected timelines in light of opportunities that present themselves early, and they can help you make the choices in life that are most important to you. Making choices, not sacrifices: Often we define choices in our careers as “sacrifices” which has such a negative connotation. It implies we’re forgoing something valued for another thing, but making a choice to not say “yes” to an additional piece of work or “yes” to that next promotion because you have other priorities should never be seen as negative. Back to the golden nugget, I cannot apologize for shifts in my life that no longer take me down a path I was on in my career, and that is okay. Put yourself back in the active seat of a decision maker and make the choices that work best for you. I know I will. Leadership is a big reason why I joined this program at Goizueta, and I appreciate that as students we are given so many opportunities inside and outside of the classroom to be exposed to it. I want to thank the EWG team for having me this year, and I look forward to learning some more golden nuggets next year. Barbara Klein Gooding is a branch and premier bank strategist at SunTrust Bank focused on strategic development and implementation of consumer banking strategies. Previously, Barbara worked as a consultant for Deloitte and helped open a new controller office in Mexico City. In addition, Barbara has a strong project management background implementing large scale technology and regulatory changes. Barbara has a finance degree from Georgia State University. Outside of work, Barbara spends her time with her friends and family testing recipes in the kitchen.